Arrr! Celebrate Talk Like a Pirate Day at the library! 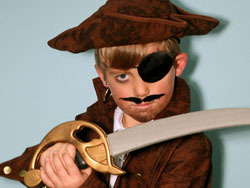 We will have a variety of pirate-themed crafts and activities as well as a light snack. Be ready to walk the plank!